How Important is a FOA-Accredited Certification in Landing a Job Abroad? Home / How Important is a FOA-Accredited Certification in Landing a Job Abroad? When getting a car, you don’t just consider the color, do you? At the top of your head is the brand. It speaks a lot about you; a status symbol if one is to put it. You get in the car you’d know people build their impression at what they see. Getting a world acclaimed piece makes you a cut above the rest, as with so many other things. Getting a certification from an internationally accredited institution is very much the same. A lot of institutions offer trainings with the hope of landing a job abroad afterward. However, the applicant may not pass the qualification upon applying for a job because the certification is not internationally recognized. Hence, it is only imperative to look for trainings facilitated by an organization that’s accredited by the Fiber Optic Association, Inc or FOA. Nexus-net offers the Training and Certification as mandated and under the guidelines of FOA as one of the two FOA registered Training Centers in the Philippines. FOA only recognizes and provides certifications to technicians who are only certified by the training centers and schools authorized and certified by FOA with their unique school license number issued to them. 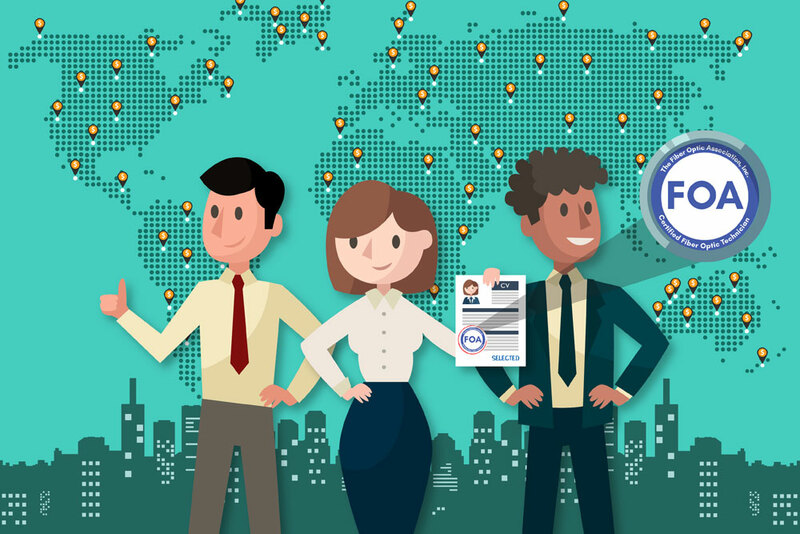 In today’s digital world, certification is considered a badge of professional status that is often a requirement in applying for jobs abroad. The FOA was chartered as a professional society to promote competency in fiber optics through education and certifications that conform to the international standard. FOA is a member of ANSI (American National Standards Institute), and if your certification comes from a FOA-certified training center like Nexus-net, chances are way too high to get that job anywhere in the world. What’s the training like in a FOA certified training center? There are organizations and institutions who offer various training courses including Fiber Optic Technology leaving an impressive hint that it can help them land a job abroad afterwards. However, contrary to what sounds impressive is a sad reality that a lot doesn’t know about. Big companies abroad often look for a seal of an international certification. Thus, it is imperative to join for trainings facilitated by an organization that’s authorized by the Fiber Optic Association, Inc or FOA. All Fiber Optic courses offered by Nexus-net has examination for certification at the end of every course. Nexus-net’s Fiber Optic Instructor ensures that every participant in the training course are well-prepared for the certification at the end of the training. Nexus-net do not require experience for you to get certified, though it is an ultimate plus factor. One must begin with a CFOT that includes developing the basic skills in fiber optic cable preparation, termination, splicing and testing required by the CFOT, and can then work toward higher level certifications. Field experience and exposure can definitely follow as your Fiber Optic level of expertise increases. One must begin with a CFOT and can then work toward higher level certifications. This includes developing the basic skills in fiber optic cable preparation, termination, splicing and testing required by the CFOT. The major advantage of this certification is the recognition of having achieved a high level of competence in fiber optics. We all know that certifications generally lead to higher pay and faster career advancement. Employers get the impression of you having a demonstrated knowledge and skills, and even with a documented experience.